Zhengzhou, the capital city of Henan Province, is geographically the center city of China. It is renowned as one of the eight historical capitals of China. Early as 3600 years ago, Zhengzhou was the capital of the Shang Dynasty (1766 BC - 1050 BC). During the following dynasties, it served as capital for four times. It is considered to be the cradle of China&apos;s civilization. It borders Yellow River to the north, Mount Songshan to the west and Huanghuai Plaint to the southeast. Zhenzhou is the transportation conjunction of Henan Province, as well as one of the transportation hubs of China. It was called Zhongzhou in the ancient time, which means the Transportation Hub of Ten Provinces. It is about 760 km (about 472 miles) south of Beijing and 480 kilometers (about 298 miles) east of Xi&apos;an. It just takes about one hour to get to Luoyang and Kaifeng of Henan Province from Zhengzhou respectively, which are both one of the eight historical Chinese capitals. The tree of Zhengzhou, chinar is planted at both sides of the main streets of the city, which wins Zhengzhou a title of the Green City of Central China. The climate here is distinct with abundant sunshine. The annual average temperature is 14.3 °C. the highest temperature reaches 43 °C in July. And the rain season is in July, August and September. The coldest season is in January and the lowest temperature reaches -17 °C. Over 3600 years long history endows Zhengzhou with plenty of historical and cultural relics. Henan Museum, one of the oldest museums in China, is a history and art museum. It has a collection of more than 130,000 pieces of cultural relics through the ages. Mount Songshan, located at Dengfeng city (one county-level city of Zhengzhou), is one of the Five Sacred Mountains of China. It is applying to be one of the World Heritage Sites in China based on its natural beauty and historical and cultural significance. Shaolin Temple, situated at the foot of Mount Songshan, is the birthplace of Shaolin Kungfu. Chenjiagou, the cradle of Chinese Taiji Quan, is located at Jiaozuo city, just one hour drive from Zhengzhou city. Both of them should never be missed for Chinese Kung Fu enthusiasts. 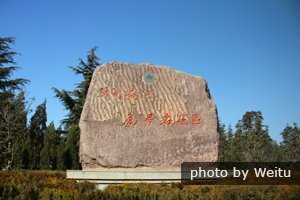 Loyal Family Tombs of the Song Dynasty are located at Gongyi (one county-level city of Zhengzhou), whose large scale is rare in China. Yinxu, the ruins of the last capital of China&apos;s Shang Dynasty (1766 BC - 1050 BC), is one of the oldest and largest archaeological sites in China and is one of the Historical capitals of China and a UNESCO World Heritage Site. It is located near the modern city of Anyang; just about two hours drive from Zhengzhou city.